For use with all Air10 Series Devices. Battery clamps included. 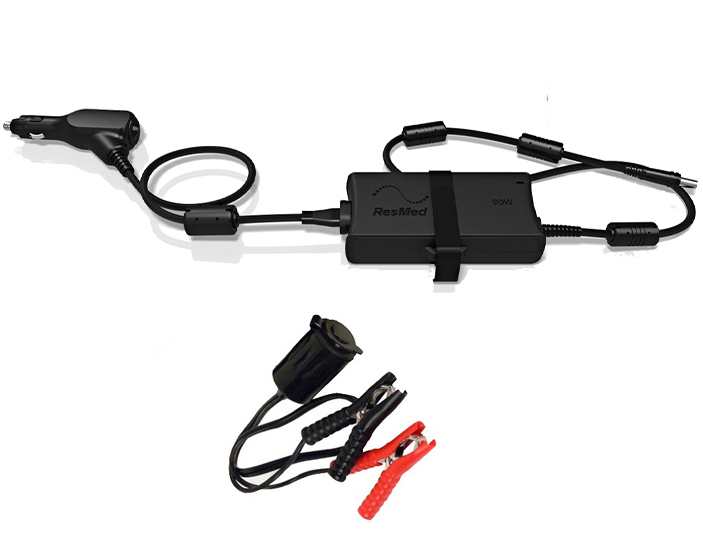 This DC Converter connects the AirSense 10 and AirCurve 10 to a 12V or 24V battery power source, including the battery used in a boat, car or recreational vehicle. The converter can be used to power the AirSense 10 and AirCurve 10 machine with built in HumidAir humidifier as well as a ClimateLineAir heated tube.